Brian Thacker Travel Writer | The 10 most exotic places to get married. 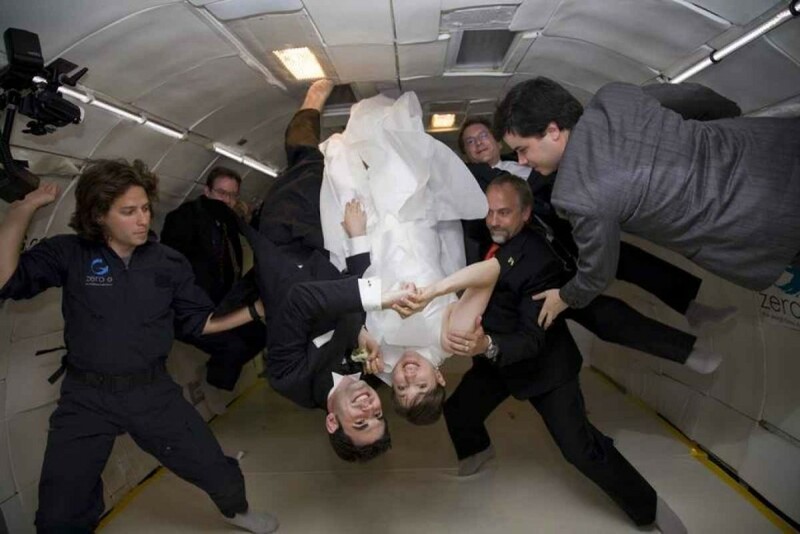 You can actually have a truly spaced out wedding. In fact, two bookings have already been made. Virgin Galactic has started taking reservations for the first ever tourist space flights and apparently two of those have been from loved up couples keen to celebrate their nuptials among the stars. I wonder if they offer a honeymoon on the moon. ‘Do you take this man…?’ ‘I blub blub blub.’ On Valentine’s Day each year a whole lot of couples get betrothed underwater in Trang Thailand. There’s a parade through the streets then a traditional Thai celebrations on the beach before literally taking the plunge to complete the wedding formalities underwater. 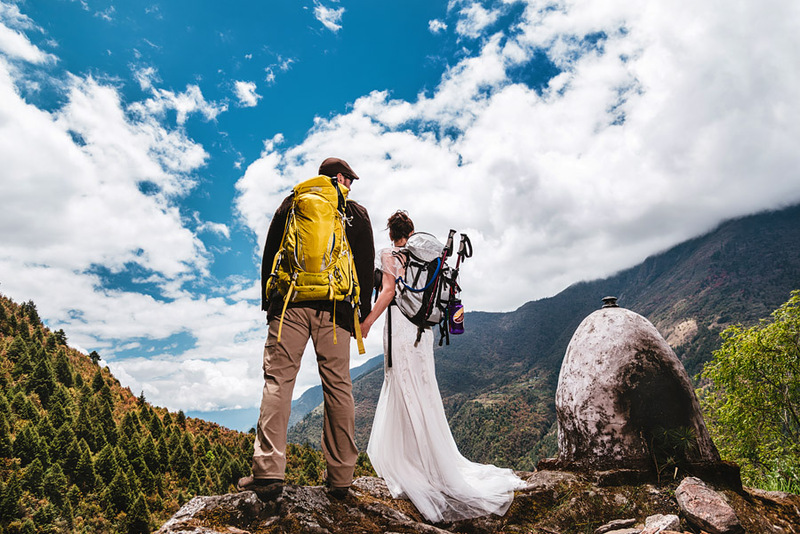 Only one couple have done it so far (a Nepalese sherpa and his bride), but if you want to really feel on top of the world on your wedding day then you can’t get much higher than at 8,848 metres on the top of Mt Everest. It was something of a shotgun affair, however, with the ceremony lasting just 10 minutes and the bride and groom briefly removing their oxygen masks to say their vows. It’s a nice day for a white wedding. If you want your wedding to be unique then you can’t beat knowing that the church where you exchanged your vows will have melted away by the springtime. The incredible Ice Hotel, nestled away in remote Swedish Lapland, is constructed from snow and ice, while the chapel has a clear ice altar, pillars and seating covered in reindeer skin. 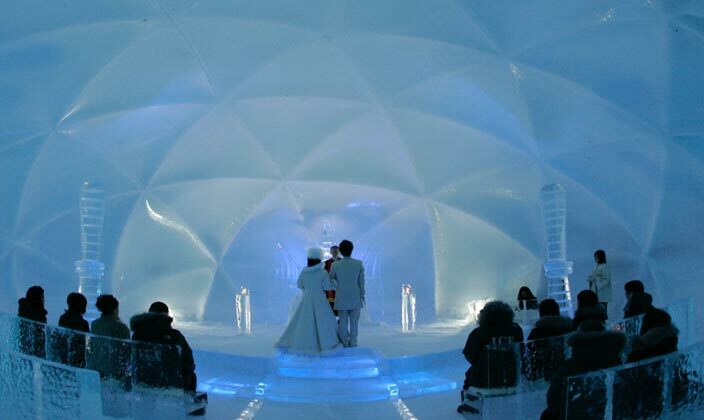 The honeymoon suite is also entirely made of ice, so luckily most couples would be partaking in strenuous physical activity to keep warm. Boo. If getting hitched wasn’t scary enough you can get married in one of the most haunted castles in the UK. The medieval ruins of Tutbury Castle in Burton-on-Trent is a regular haunt (sorry) for ghost-hunters, hosting regular ghost walks and spooky events. Weddings are held in a special midnight ceremony in the castle grounds. At least there would be something scarier there than your mother-in-law! You won’t get many guests at this wedding – that’s because there isn’t much room on top of the 300 metre summit and even then they will all need to scale it. Don’t forget the ring – it’s a long climb down. 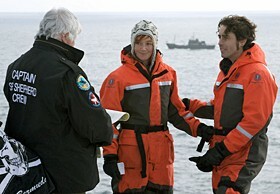 Only a few couples have braved the extremities to tie the knot in Antarctica, and Scott Island is about as extreme as they come. It’s only accessible by helicopter, but that didn’t stop Andrew Perry and Molly Kendall becoming the first people ever to exchange vows there when they did it in fetching orange thermal suits in 2009. It’s also a great way to keep the guest list to a minimum. Fear of heights? This is probably not the wedding for you. 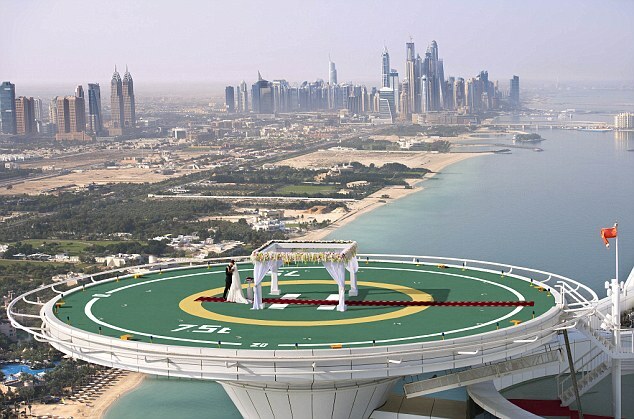 The Burj Al Arab is billed as the world’s most luxurious hotel in the world and it has it’s very own helipad where you can do your vows with vertigo. Dress code: Hard hats. You’ll need them if you get married in this mystical underground lake within a candlelit cavern. The happy couple travel by cute rowing boat while the the nearby Rum Store cave – used by the navy to store rum during the Second World War – is where the reception is held. No garlic allowed at this wedding. Vampire fans (and vampires) can tie the knot in the imposing Bran Castle, better known as Dracula Castle. It might be creepy, but it’s a stunning venue. It’s just a pity if you’re an actual vampire because you’ll be invisible in the wedding photos. Have you been to (or been in) a destination wedding? Curling and other extreme après ski fun. The Top 10 graveyards in the world.